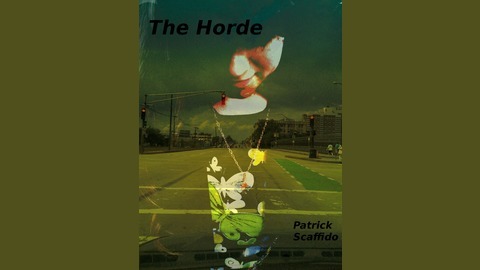 The Horde, a mysterious force that brings nightmares to life, devours everything in its path. Bridan, a lone traveler, seeks the key to the Horde's destruction at the expense of all else- bystanders, worlds, and broken lives be damned. Cyrack, the Horde's inhuman master, follows Bridan across the Worldcycle seeking Bridan's heart- literally. Terry is caught between them, dreaming their battles across the blasted wastes of Farrakan from the safety of his dull nine to five life and the arms of his loving girlfriend. None of this is true. Terry glimpsed the hideous intelligence hiding behind the struggle and it has driven him mad. Something watches, hungers, and manipulates events keeping the Horde moving ever closer to the center of creation, leaving only empty husks in its wake. Planet by planet, town by town, life by life, friend by friend, Bridan makes his way forward. And as the Horde follows without rest, Terry knows that their next destination is Earth. 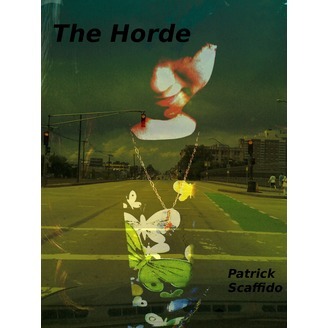 The Horde is a genre bending novel incorporating elements of Science Fiction, Epics, Dark Urban Fantasy, Horror, and Surrealism performed in the style of acoustic deathfolk and released weekly as short albums. You've never heard anything quite like it. Bridan reveals concrete details of his past- what drives him to fight the Horde and what drives the Horde to chase him. This is no time for vaugaries. But the truth of the Ancients that another speaker holds suggests lines of causality far more insidious. Could Bridan's quest be in vain? The only certainty is this: when you are certain of your knowledge, there is always someone who knows more. Beware.